The eel has an extra-ordinary life cycle. Juvenile eels arrive on the coast as glass eels having drifted on ocean currents as ‘leptocephali’ from the Sargasso Sea (west Atlantic). The glass eels then pigment to form elvers during the early stages of their upstream migration. During their growth lifecycle stage they develop into yellow eels before metamorphosing into silver eels prior to commencing their migration back to the Sargasso Sea where they breed. 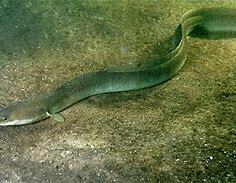 But the European eel (Anguilla anguilla) has been listed as ‘Critically Endangered’ on the IUCN Red List since 2008, due to dramatic declines in abundance recorded across all stages of its life cycle and much of its natural range. This undoubtedly due, at least in part, to wholesale man-made changes which make it hard for eels to swim into and out of rivers. A project was therefore set up by Zoological Society of London (ZSL, of London Zoo fame) to monitor eel populations in the Thames catchment and thereby form a basis for eel conservation. The monitoring shows the River Brent is the star performer. There were more eels counted at the monitoring station at Stoney Brook in Brentford than at any other monitoring site. It just goes to show that if we look after our rivers even half decently – and the Brent is far from perfect – wildlife will thrive. The full report from ZSL is here.